Use “Find My NAS” to turn on the NAS “Beep” sound to easily identify its location. Qmobile enables you to use your handheld devices, such as iPhone®, iPod® Touch, iPad®, and Android™ phones, to stream music, photos, and videos from your Turbo NAS and play the files directly on your devices anywhere. It is like having a media center in your pocket! QMobile is an application for you to use your handheld devices, such as iPhone, iPod Touch, Pad, and Android phones, to stream music, digital pictures, and videos from your QNAP NAS servers and play the files directly on your devices from anywhere. As long as you have Internet access, you may access all the contents on the NAS remotely. It is like having a media center in your pocket! After installation, QMobile will be shown on the screen. Get the download link automatically from the QR-code. Download QMobile to your Android phone. 2.Configure the NAS settings on your handheld devices. Launch QMobile App and add a QNAP NAS. 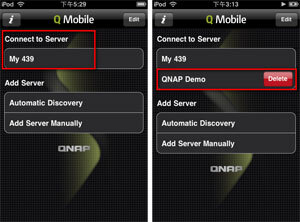 You can add the NAS to QMobile by “Automatic Discovery” or “Add Server Manually“. This feature is only available after you have enabled “QMobile for iPhone/iPod Touch” on the NAS under “Network Services” > “Network Service Discovery” > “Bonjour”. 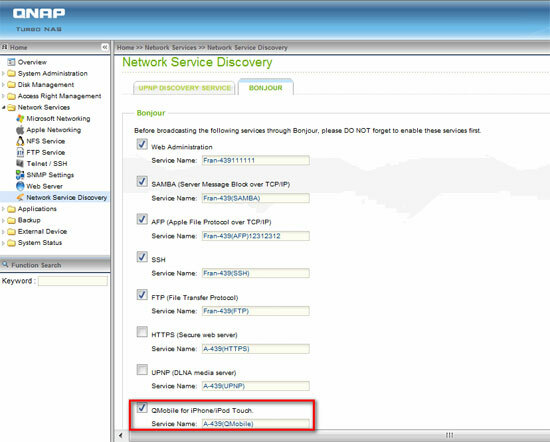 This feature is only available after you have enabled “Enable UPnP Service” on the NAS under “Network Services” > “Network Service Discovery” > “UPnP Discovery Service”. QMobile will find all the NAS servers which have enabled Bonjour/UPnP on the local network. Select the NAS and login with your user name and password. Enter the name, host/IP, user name and password of the NAS. Select the NAS you wish to connect. Or you may swipe the NAS name which you want to delete. You may view and play the multimedia files saved on Multimedia Station of your NAS. Note: QMobile can only play the file formats supported by your handheld devices. Connect to the NAS and tap the Media Center icon. You can browse the multimedia files under “Qmultimedia/Multimedia” default share folder or you may choose the specific photo, music or video files by tapping the corresponding icon at the bottom. You may upload photos on your handheld devices to the NAS directly through QMobile. Select the file source by tapping ” “and select the file destination of the NAS by tapping ” “. Photo Source: Choose the photos from your handheld devices. 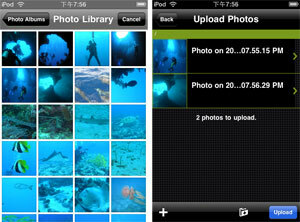 Photo destination: Choose the root folder (“Qmultimedia/Multimedia” folder of NAS) or the sub-folder to save the photos. 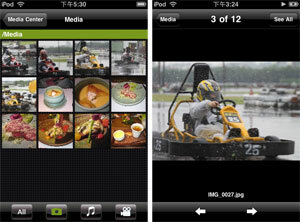 Select the photos and tap the “Upload” icon to upload the photos to the NAS. 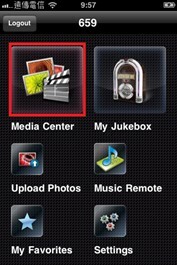 You may download the multimedia files from the NAS to your handheld devices under “My Favorites” and play them offline. From Media Center, swipe the file and tap the star sign to start to download it. 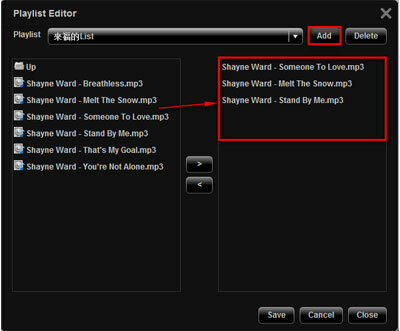 Downloaded files will be shown in “My Favorites”. QMobile will check if the source of the downloaded files have been updated or deleted from the NAS upon every new connection to the NAS. You can select to synchronize the changes with the NAS. You may view, stream and play the playlists configured on Multimedia Station. Login Multimedia Station as an administrator. Select “Control Panel” > “Playlist Editor”. Click “Add” to create a Playlist. Enter the playlist name and click “Save”. 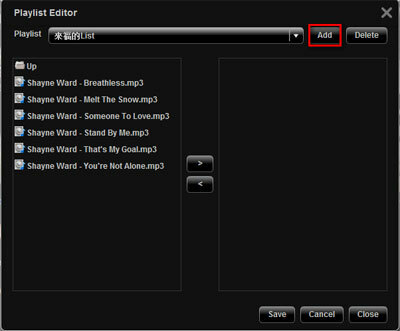 Select the playlist from the drop-down menu and then choose the music files to add to the playlist and click “>”. Click “Save” to save the playlist. 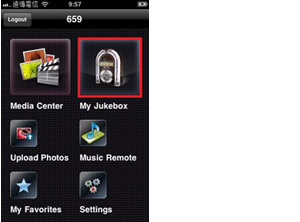 You can play the playlists created on the NAS by “My Jukebox” on your handheld devices. Once the audio file has been streamed completely, it will be saved in the cache in “Recently Played”. 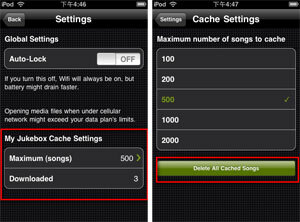 You can edit the cache settings under “Settings”. Use Music Remote of QMobile to control the Local Playback player of Music Station remotely. * Music Remote is supported only a when USB speaker is connected to the NAS. Browse the now playing list of Local Playback and control the remote player. Browse the folders or songs. 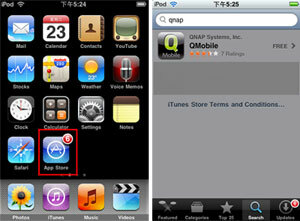 The following contents are only applicable to the QMobile app which supports iPod touch, iPhone, and iPad. Follow the instructions below to stream music to the AirPlay devices by QMobile. 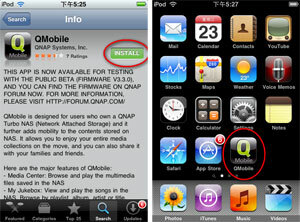 1.Make sure the QMobile app has been installed on the iPod touch, iPhone, or iPad and the devices have been connected to the network. The app can be installed from the App Store for free. 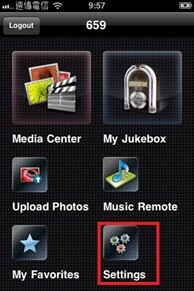 2.An icon will be shown if any AirPlay devices are available on the network. 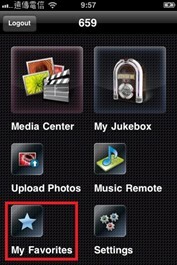 3.Click the icon and choose the device to play the music.